The recent New York exhibition ‘My Heroes: portraits of the avant-garde’ featured a set of works in collage and mixed media by artist and graphic designer Elaine Lustig Cohen, writes Jeremy Aynsley. These will be of interest to readers of Eye as they explore the implications of one of the most exciting periods of artistic experiment for graphic design. The series takes the work of the first generation of European Modernist artists active in the 1920s. 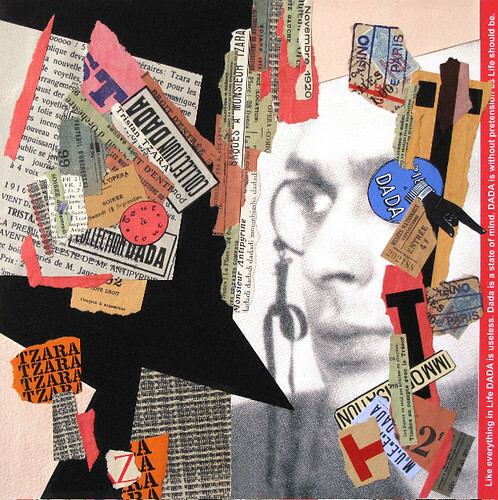 Cast by Elaine Lustig Cohen as ‘Heroes’ of the avant-garde, their names are familiar to us: Hannah Höch, Kazimir Malevich, Max Ernst, Fortunato Depero (top), Tristan Tzara (below), Francis Picabia, Moholy-Nagy, Varvara Stepanova, among them. 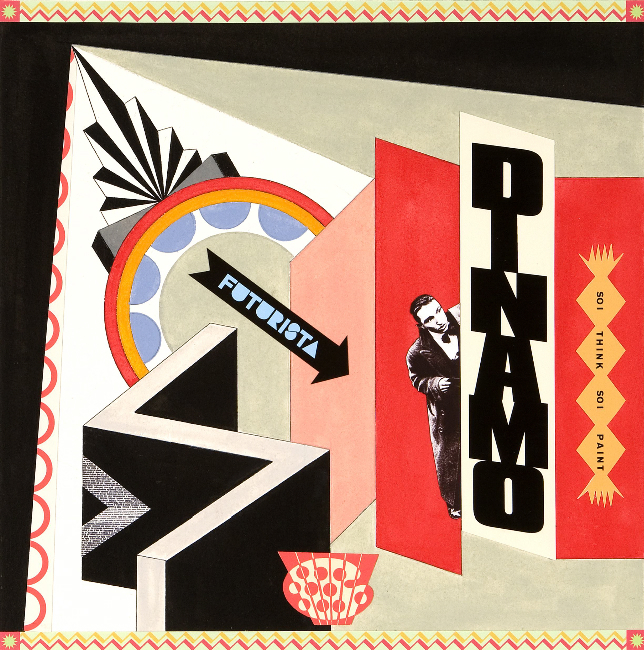 While few initially saw themselves as ‘graphic designers’ in their own right, or would have been happy with the term even if it were used at the time, their work, almost without exception, included significant experimental typography, book design, posters and other forms of independent graphic art. As such, these ‘pioneers’ laid foundations for generations of graphic designers to come, including Elaine Lustig Cohen herself, and it this that the exhibition investigates and celebrates. Elaine Lustig Cohen had a vital part to play in the history of Modernism (as did her husband, Alvin Lustig – see ‘Digital history book’ in Eye 59). As well as her activities as a modern artist and graphic designer, exhibiting regularly in the US since 1969, for over twenty years she ran the bookstore Ex Libris with her second husband, Arthur Cohen, from their Upper East Side home. One of the finest private collections of graphic works on paper and letter art consequently informs her collages. And with her first husband, Alvin Lustig, who died prematurely in 1955, Lustig Cohen brought the work of this 1920s avant-garde to the attention of successive generations of art students, first at the Art Center College in Los Angeles, then at Yale. 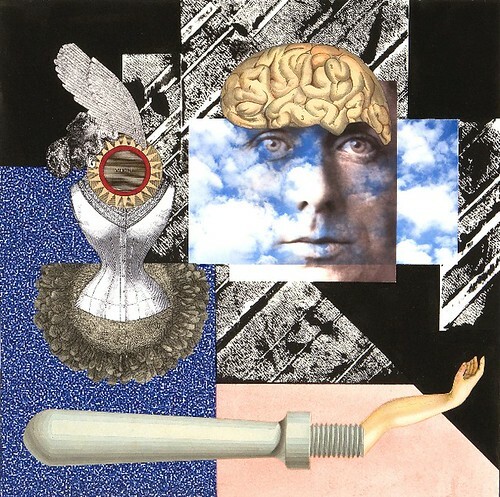 The collages act as a collective homage. In no way are they pastiche. Instead they are full of the graphic wit, astute perception, subtle selection and reference of someone who has a deep knowledge of the principles of Modernism. Each contains a portrait, derived from historical sources, which the viewer places in their own visual lexicon. An exercise of cut and paste, the collages become elegant essays on each chosen figure. 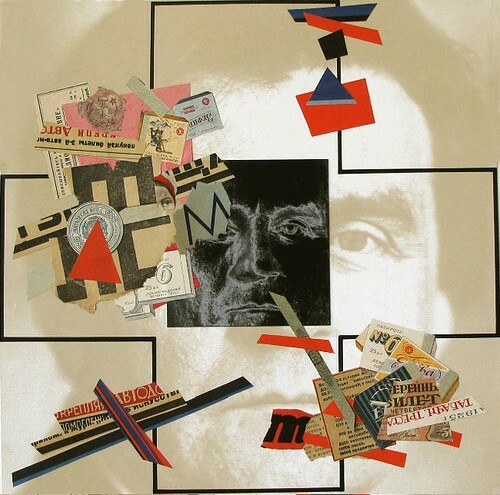 In the case of Malevich (above), we find various pieces of printed ephemera, tickets, newspaper cuttings and the like, shaped into Suprematist floating structures, combined with a negative and photographic close-up, and the artist’s iconic black cross. 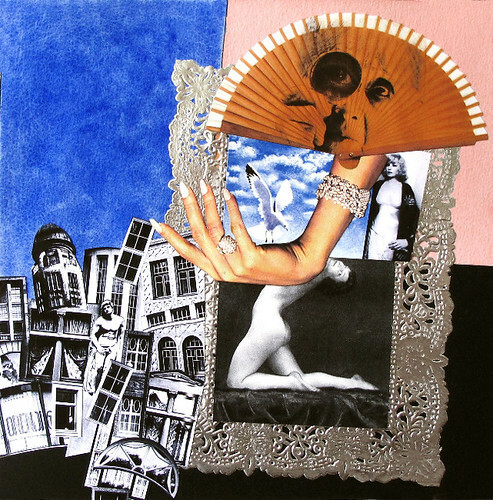 For the composition of Hannah Höch (below), by contrast, Lustig Cohen references the artist’s intense interest in the construction of femininity through a gilt picture frame, an ornamental fan with Höch’s superimposed photographic portrait, and a naked Weimar dancing girl, all juxtaposed with a composite of Berlin’s Jugendstil and Expressionist buildings. It would be mistaken to characterise these as ‘late’ works. Although Elaine Lustig Cohen is now remarkably in her eighties, the suite of works stand out for their fine sense of colour, graphic dynamism and acute historical understanding, all informed by years of looking, visual thinking and making. They are also strikingly contemporary. Below: Elaine Lustig Cohen, Max Ernst (2008). 10 October 10 — 14 November 2009.